Meantime, no reversal candlestick been formed. 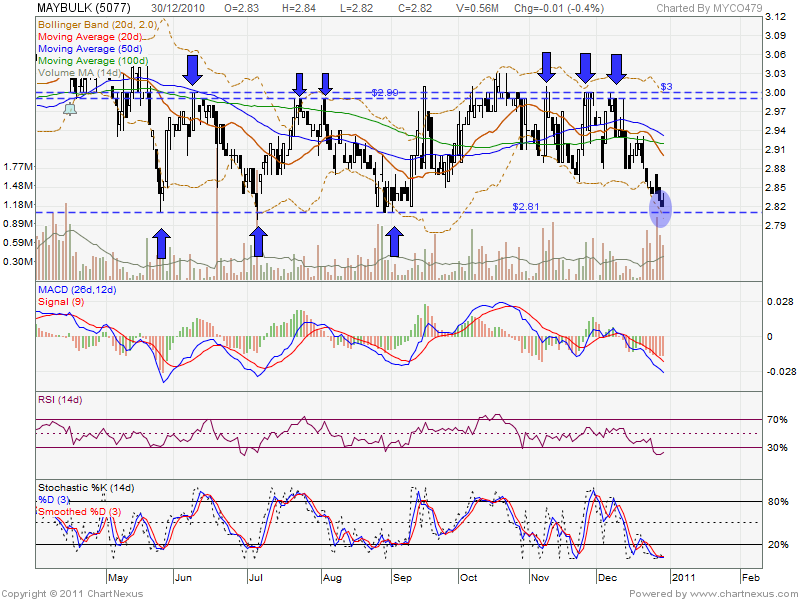 However, RM2.81 may define as strong support level. On 25 May 2010, 6 July 2010 & 27 August 2010, 3X also success rebound at this level. 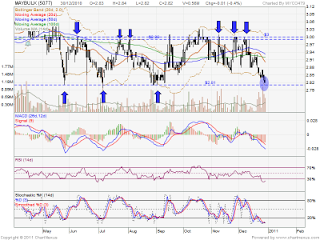 RM2.99 or RM3.00 is the strong resistant, it must have strong GOOD news to break through this level.